House lawmakers are disregarding women's healthcare in an attempt to defund an organization that provides essential services to millions of Americans. Why are they more focused on preventing abortions than saving lives? On July 14, 2015, an anti-abortion organization, deceptively entitled "The Center for Medical Progress," released a video that shows a Planned Parenthood medical director discussing (legal) fetal tissue donation. Framed to portray Planned Parenthood as an immoral organization that profits from the illegal selling of aborted fetuses, the highly edited video resulted in widespread controversy and the passage of HR 3134, a House bill that cuts off federal funding to Planned Parenthood for one year. Although the Senate rejected the bill, the fact that it passed in the House and amassed public support paints a sorry picture for the consideration of women's rights and health in today's political scene. Despite the fact that no federal funding is spent on abortion procedures, House lawmakers felt it was appropriate to defund an organization that serves millions of Americans with STI testing and treatment, contraception, cancer screening and prevention, and other women's services (each of which represent a larger percentage of Planned Parenthood's services than abortions). While legislators may believe that they are protecting taxpayers by waging a war against Planned Parenthood, they are mistaken in the impacts that this defunding would have. In an attempt to restrict abortions, this bill actively limits access to healthcare and family planning for millions of American women. 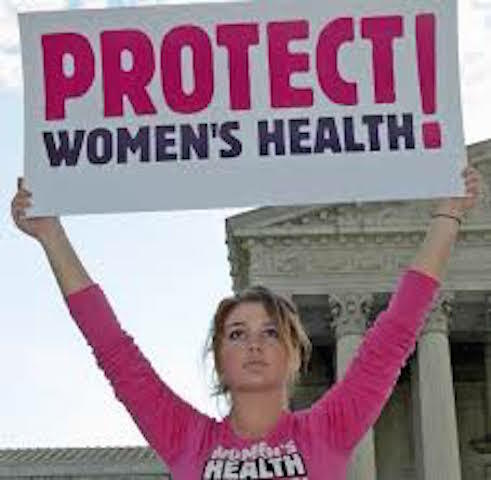 Although this bill is structured as attack on Planned Parenthood, Republican lawmakers' blatant disregard for women's healthcare exposes the real issue at hand: an ongoing war on women. Sponsor of the bill Representative Diane Black asserts that the moratorium on funding for Planned Parenthood will allow time for an investigation into their practices. She claims, "most people think that is common sense. If there is reason to investigate, then there is reason to withhold taxpayer dollars during that period of time. The American taxpayer has been clear for a very long time that they do not want federal funds spent on abortion." In addition to an ignorance surrounding the allocation of federal funds within Planned Parenthood, Black's comment also demonstrates a lack of understanding on the topic of common sense. The largest percentage (42%) of Planned Parenthood medical services consists of STI testing and treatment, and eliminating these services can have devastating impacts. For example, when an Indiana Planned Parenthood clinic was forced to shut down in 2013 due to funding cuts, Scott County had an HIV outbreak warranting the label of "epidemic," causing the governor to declare a "public health emergency" due to high HIV rates. The clinic could have served as a resource in preventing the outbreak, but the Scott County clinic was the last of five Planned Parenthood facilities in Indiana to shut down after Indiana's legislature decreased funding to an inoperable level. None of these five clinics offered abortions. Perhaps the most ironic and upsetting aspect of HR 3134 is the way in which it prioritizes preventing abortions over saving lives. In 2013, 9% of Planned Parenthood's healthcare services consisted of cancer screening and prevention, including breast exams and HPV vaccinations, amounting to 935,573 services. The number of abortion procedures that same year came to about a third of that number. Furthermore, the defunding of these clinics would remove access to healthcare entirely for some individuals, especially those who live in impoverished areas or have no health insurance. Planned Parenthood reported that 79% of its patients have incomes at or below 150% of the federal poverty level, indicating that this bill is not only an attack on women, but also an attack on the poor. Moreover, while proponents of this bill seem so intent on defending taxpayer dollars, the Congressional Budget Office found that permanent defunding of Planned Parenthood would actually cost $130 million over the next ten years, based on an increased number of births and an additional number of recipients of Medicare and other federal programs. In attempting to do away with 3% of Planned Parenthood's services, lawmakers have put millions of women at risk, threatened to increase the number of STIs and unplanned pregnancies, and committed taxpayers to paying higher costs for government programming—money that was not being spent on that 3% of services anyway. In defending the bill, co-sponsor Gus Bilirakis explained that, "This is about protecting the rights of taxpayers—but more importantly, protecting the basic right of human life. I will continue to give a voice to our most fragile Americans who cannot speak for themselves." Bilirakis is undoubtedly speaking on behalf of embryos and fetuses across the nation rather standing up for the tens of thousands of American women who die annually from breast cancer, or the innumerable women who would face unwanted pregnancies, as numerous patients would assuredly go without contraception. Is it possible that Bilirakis and other Republicans are starting earlier than ever in securing new voters? In any case, it is clear that legislators advocating for this bill have an agenda, although after looking at the facts and impacts surrounding this bill, it is doubtful that the desired goal is merely the end of abortions.